Normally, our softball year-ender occurs within the same calendar year as our last game of the season. Due to my busy schedule, I kept putting it off until recently. Well, with the new season only a month away, it suddenly became a year-opener (at Fisherman's Terrace) instead. Whatever really, because it serves as an excuse to go out and eat! I was able to round up some of the crew including Boss Woman, Bear, Hot Chocolate, Judes, Gadget Girl and Mr. Blueberry. Surprisingly, Milhouse couldn't make it (isn't he in 50% of my food adventures???). Oh and the picture of the front is old, disregard the 2 large shark fin! So with a fairly large group including a bunch of kiddies, we went ahead and ordered 33 dishes (some doubles) to the surprise of our server. 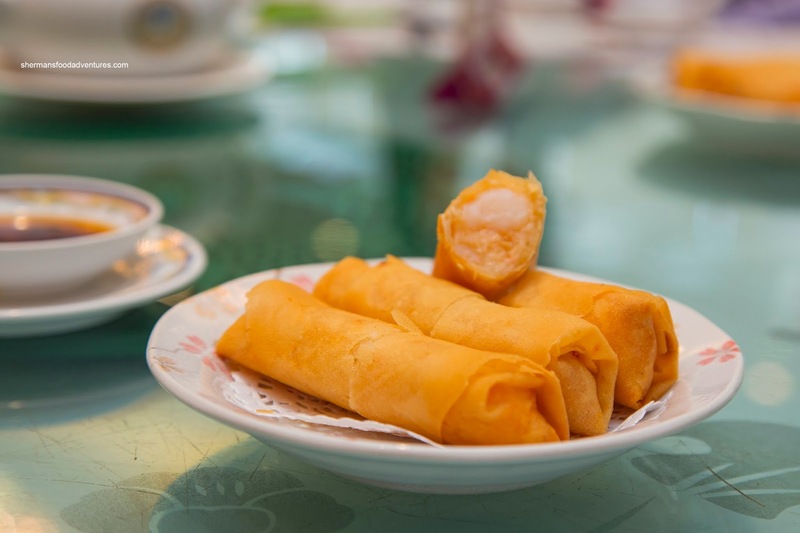 He questioned us about the amount of food, but we assured him that we were trained-eating machines... We began with the hot and crunchy Shrimp Spring Rolls. These were packed solid with big pieces of shrimp which exhibited a snap with plenty of seasoning. Onto another fried item, we had the Fried Taro Dumplings. They were a bit small in size, hence they were really crunchy. Moreover, the modest amount of filling contributed to this as well. In my opinion, this was out-of-balance in terms of the filling-to-taro ratio. Next, we had the Steamed Pork Spareribs which were cut up into relatively small pieces. Despite consisting mostly of meaty rib pieces, the meat was over-tenderized where it lacked any real texture. On the positive, there was plenty of garlic and seasoning. 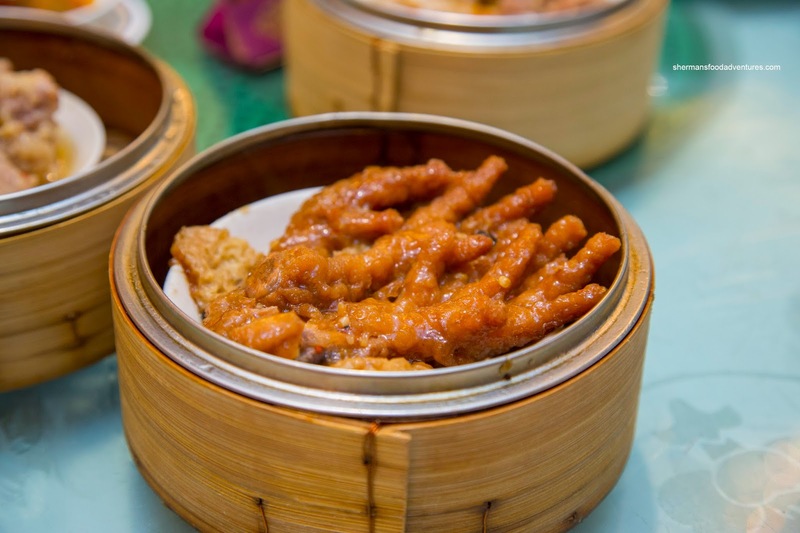 Being equally garlicky, the Phoenix Talons (Chicken Feet) were far too soft. That also included the cartilage and tendon underneath as they were almost all melted away. The inclusion of fried gluten underneath was a treat as it had soaked up all of the sauce. 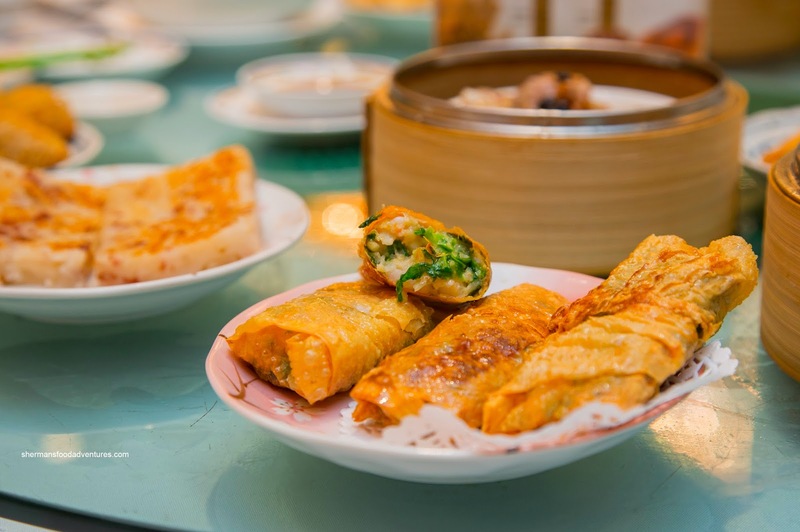 With the same snappy shrimp filling with the addition of vibrant greens, the Fried Bean Curd Skin Rolls were really good. 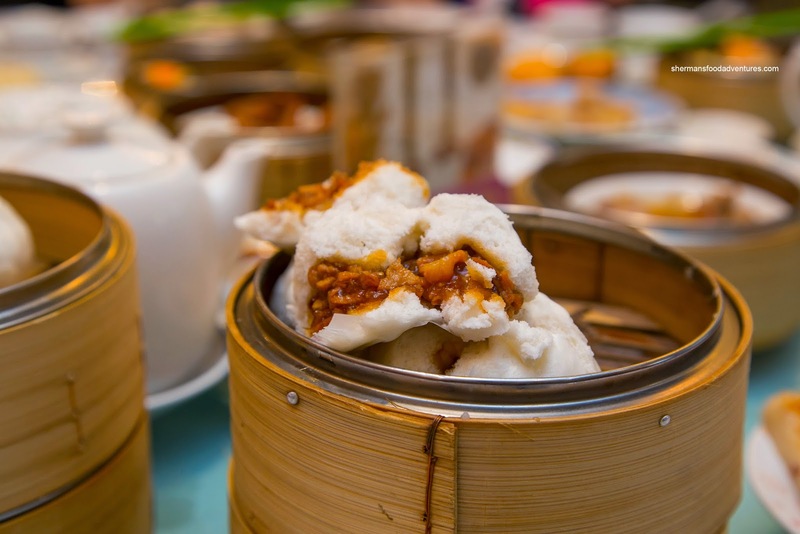 Like the spring rolls, they were jam-packed with filling all encased within a crunchy package. Normally, this rolls can be pretty greasy, but not in this case. 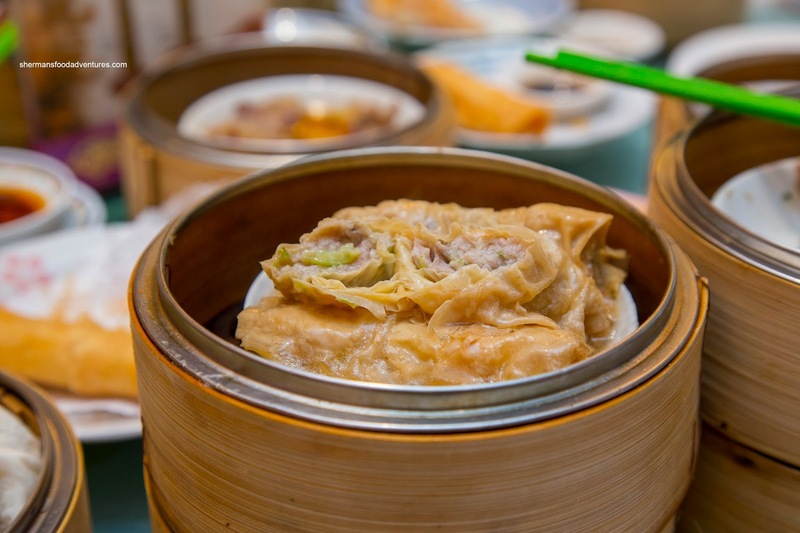 Onto the steamed version, we had the Bean Curd Skin Rolls. The filling here consisted of ground pork and flowering chives. 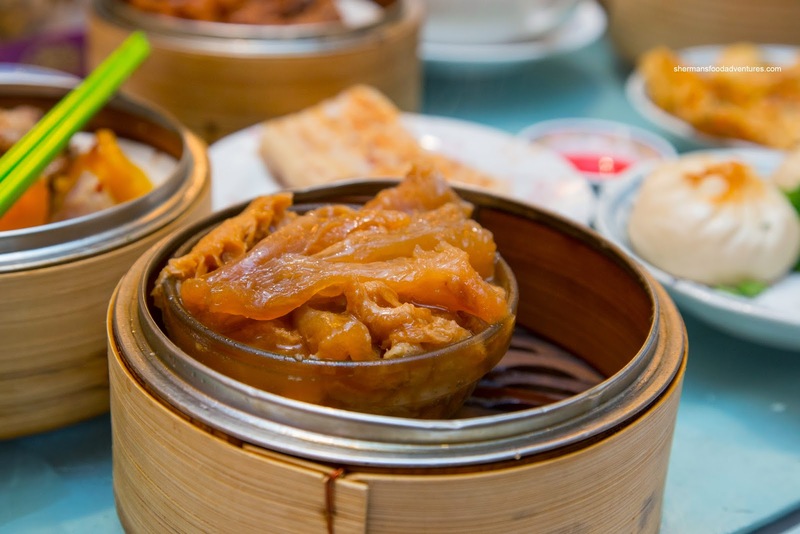 It was moist and super tender without being mushy while the bean curd skin was buttery soft with a slight bite. There wasn't an excessive amount of sauce where it was mild-tasting and not goopy. 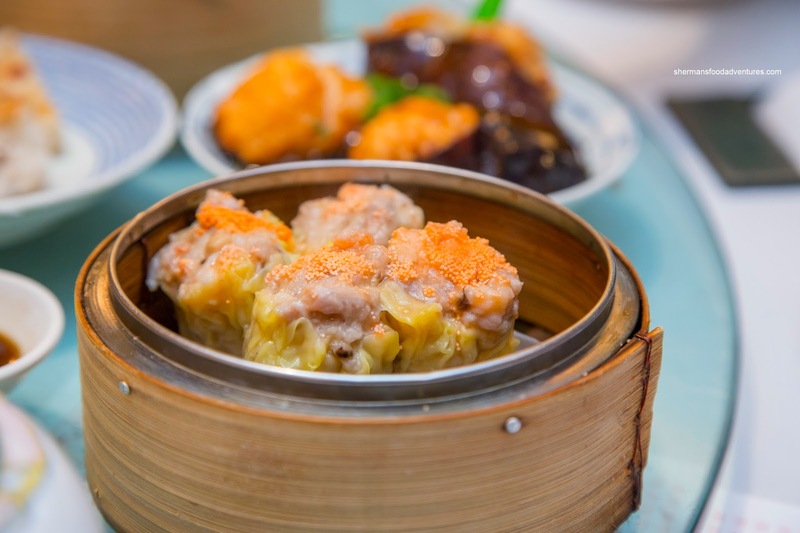 The most important dishes of any Dim Sum service are the Haw Gow (Shrimp Dumplings) and Sui Mai (Pork and Shrimp Dumplings). 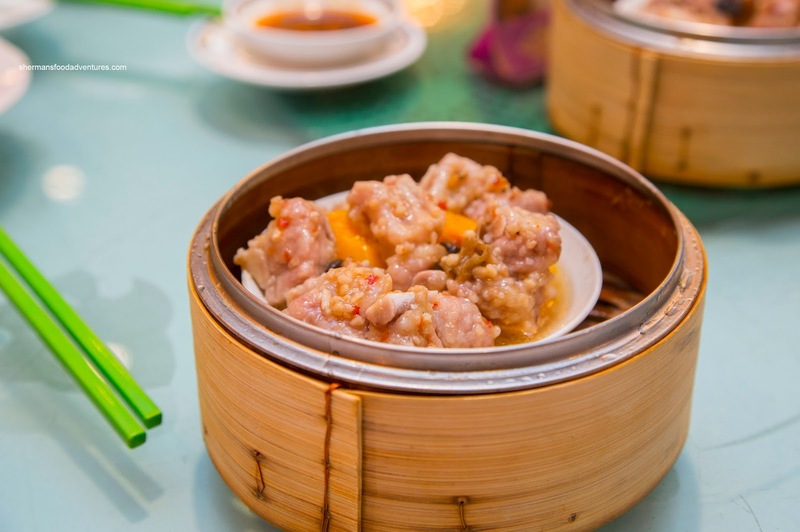 Although the dumpling skin on the haw gow was a bit doughy, it was not overly thick nor dense. I liked the shrimp filling as there was a definitive snap while the essence of sesame oil announced itself. 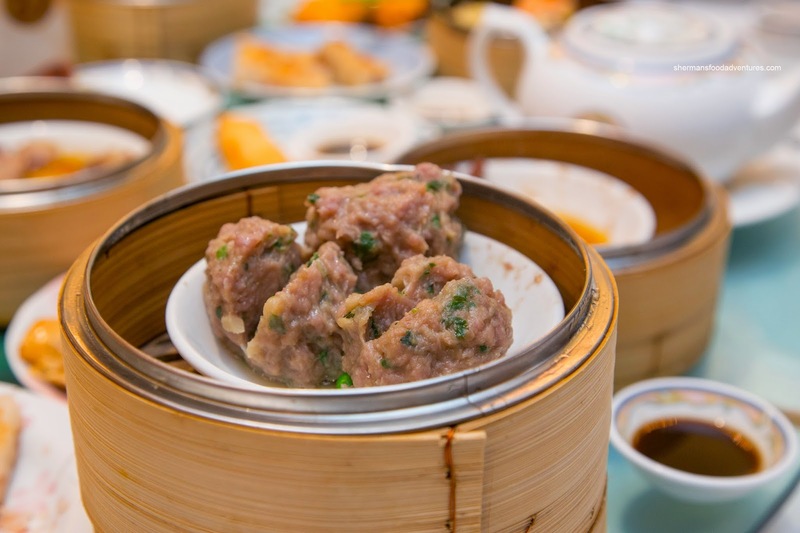 As for the sui mai, the meat was chewy in a good way. 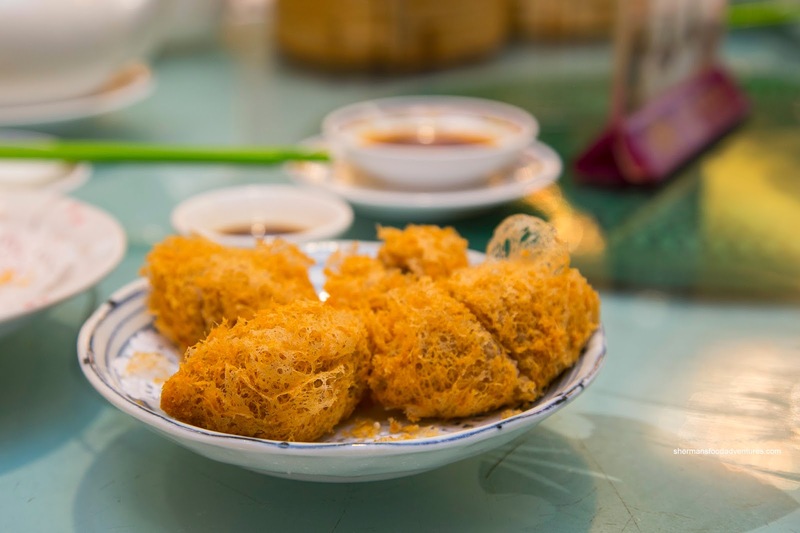 The ample shiitake mushroom and crunchy shrimp added both texture and a variety of flavours. 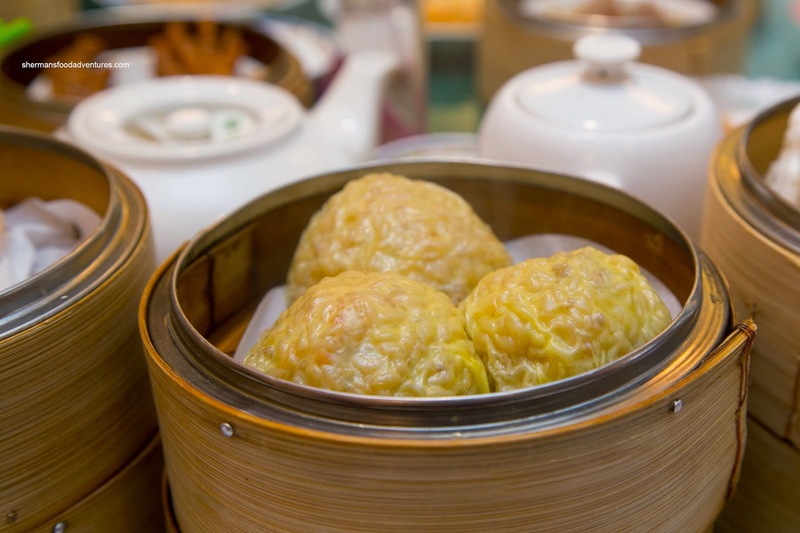 Beyond that, there dumpling was well-seasoned and balanced. Thank goodness Boss Woman loves offal because that meant we could get the Tendon & Tripe. This larger-portioned dish was welcomed at our table because there was enough for everyone (which was only Boss Woman and I, but she took most of it!). It was good with soft tendon and tripe. I liked how the tendon maintained its integrity where it wasn't melted. Furthermore, there was no gaminess, rather it was well-seasoned. Despite being speckled with lots of green onion, the Beef Meatballs were balanced with a meaty flavour. The texture was bang on with a nice bounce where the meat was not overprocessed. Heading into the homestretch, we had the Pan-fried Daikon Cake. These were rather dense with a fairly good sear on the outside. Hence, there was a slight crispiness that somewhat alleviated the heaviness. In terms of taste, these were good with lots of Chinese sausage and dried shrimp. 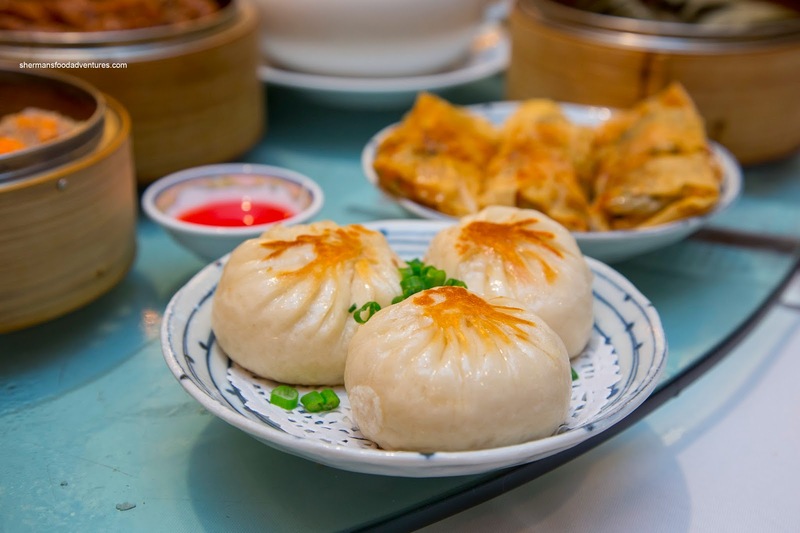 If that wasn't enough carbs at the end of the meal, we also got the Pan-Fried Pork Buns. The bun-to-meat ratio was not very good as there was whole lot more dough than meat. They were soft though, so it wasn't exactly dense. Despite being tender and appealingly gingery, the meat filling was too greasy. 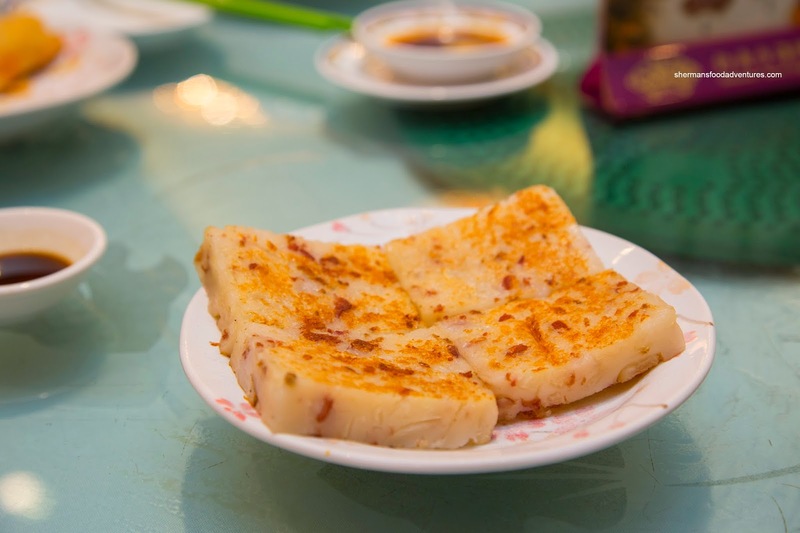 Of course we couldn't do without the Lo Mei Gai (Sticky Rice) because of the kiddies. Well, the adults don't mind it either... As evidenced in the picture, there was almost as much filling as there was glutinous rice. Hence, it wasn't longing for moisture or flavour as the meat was savoury and sweet. Also for the kiddies (and yes, the adults too), we got the BBQ Pork Buns as well. Similarly with the previous dish, there was a 50-50 split of filling and bun. Hence, it was plenty saucy and meaty. The bun was fluffy while the filling was a touch fatty. In an lighter shade of red (less food colouring), the sauce was a good balance of salty and sweet. 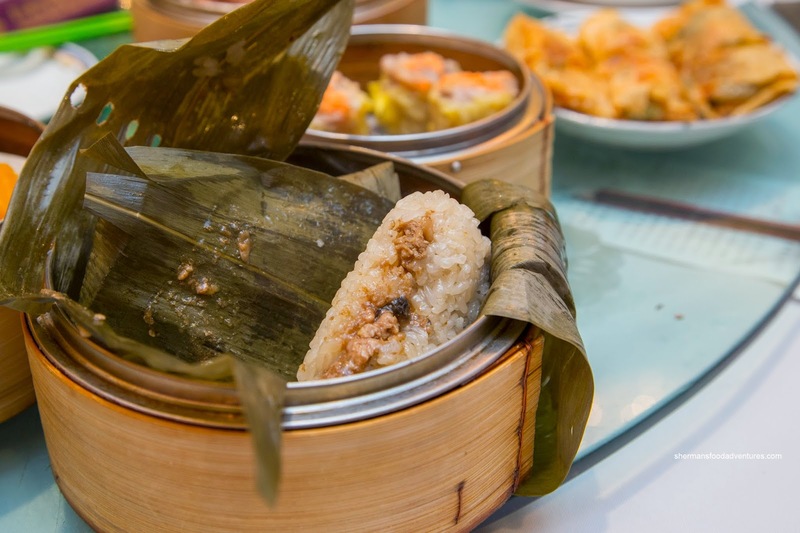 Our last 2 savoury dishes consisted of the Stuffed Eggplant with shrimp mousse and the Sticky Rice Dumplings. Consistent with the aforementioned dishes, the eggplant was bursting at the seams with bouncy shrimp mousse. 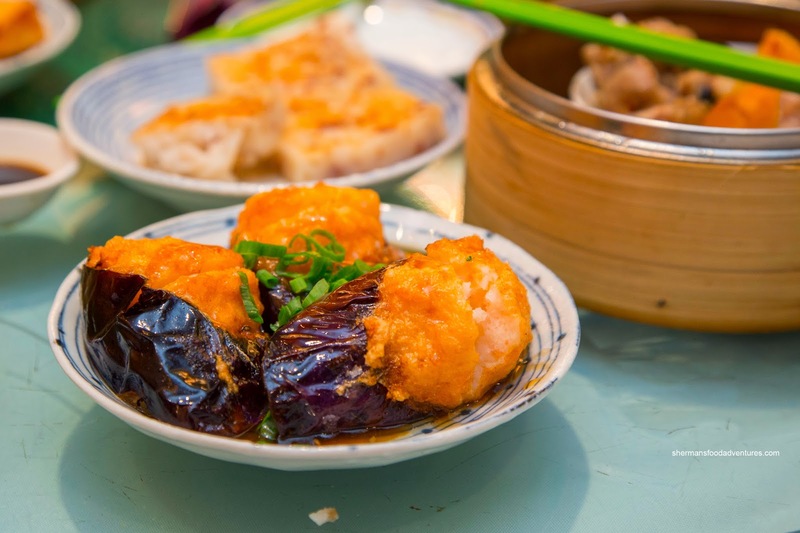 The eggplant itself was fried so it was lightly crisp and soft inside (without being mushy). Acting only for colour purposes, the black bean sauce wasn't very flavourful. We actually made a mistake by ordering the sticky rice dumplings and as such, weren't overly enthused with them. Yet in reality, they were bland and a bit too dry. 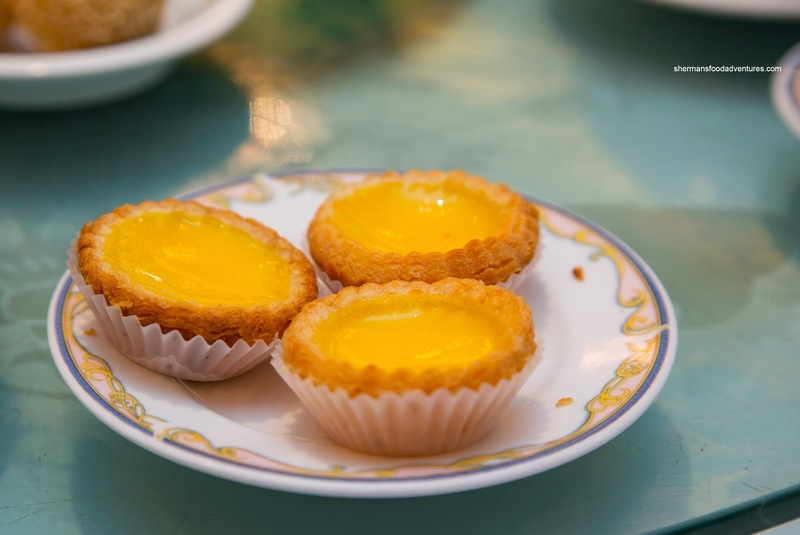 Onto dessert, we ended up with a selection including the veritable Egg Tarts. Golden brown and flaky, the tart shell was also very buttery (or lard...). Within, the egg custard was soft and not overly sweet. 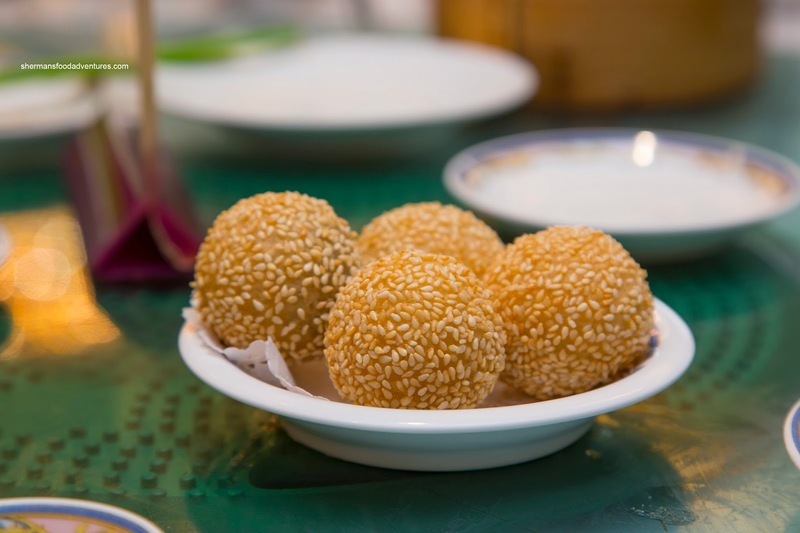 The Fried Sesame Glutinous Balls (with black sesame filling) were served hot and crunchy. Affectionately known as "golf balls" by the kiddies, they seemed to enjoy them as well. For the diverse amount of items we ordered, the food was above-average. 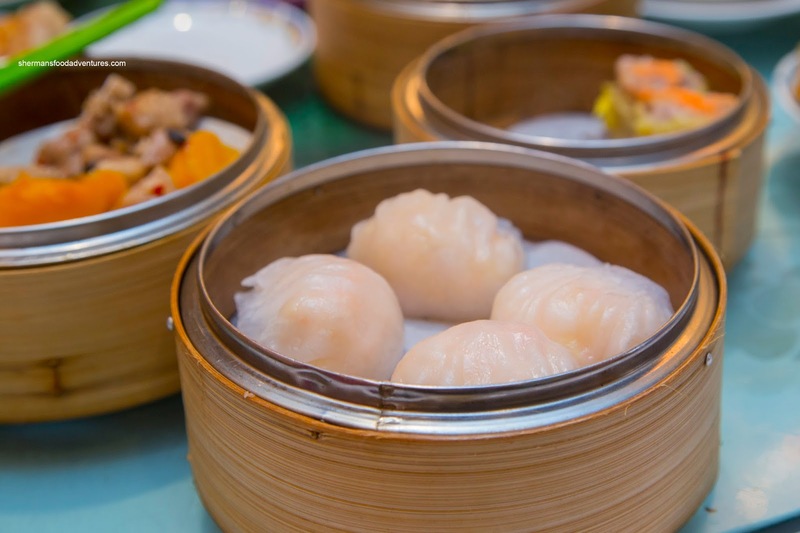 Sure, Fisherman's Terrace will never be mistakened for the best dim sum in the GVRD, but it certainly does the job for a reasonable price.